My scrap basket runneth over. I can't say I mind TOO much when I have a lot of scraps. But seeing them all does give me the itch to make a scrap quilt. Let's first talk about how I store my scraps (you might have a different way and that's okay too) and why it works for me. Then we can talk about colors and how to choose for our Stargyle quilt! We all have a different amount of scraps. 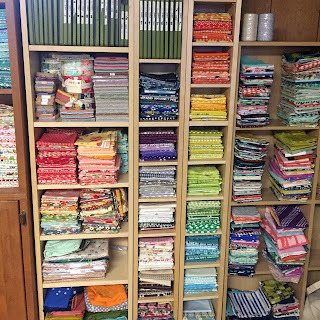 When I started quilting, I didn't have much at all. I started out with just one small plastic bin and I threw everything in there. Once my bin started getting full, I put them in three bins: warms, cools, and neutrals. Eventually, years go by and I have a bin for every color (and multiples of some!). I consider any oddly shaped fabric (that won't fold up nicely on my fat quarter/fat eighth shelves) or fabric less than a fat eighth (9" x 22") a scrap. Some of these can be pretty big. Instead of just throwing them in the bins, I try to fold them as best I can and lay them in the bin. I find it's easier to rifle through them when I'm looking for a certain color. I also decided to have separate bins for novelty fabrics, solids, linen blends and tiny scraps. A bin for everything and everything in it's bin! Ikea CD towers are perfect for FQs! While working on a project and cutting fabrics I have a catchall scrap bin. Everything goes in that bin until it gets sorted into the correct colors (maybe once a month?) and sizes. Any fabrics that are close to a 2.5" square, I cut right away and throw them into a bin for 2.5" squares. This is the perfect size for 1" English paper piecing! The amount of bins you want and how diverse you want them to be is really up to you and the amount of scraps that you have! I feel that having my scraps sorted this way allows me to choose colors for a project and then I just pull out the scrap bins of those colors! I'm sure you can make nice fabric bins with embroidered color names, but I really like the clear plastic. They stack nicely under my cutting table AND I can see through them ! Plus they are really cheap at Target or Amazon ! And now for the fun part! 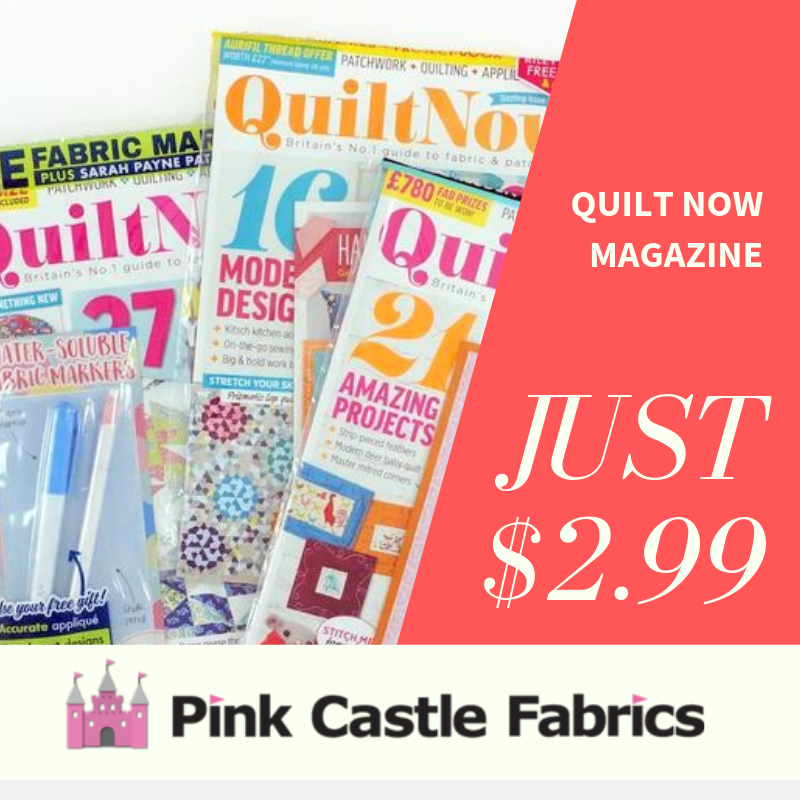 Choosing colors for your quilt. Now, you can choose to just go with the flow and pick as you are making the quilt if you want. I will do this sometimes. 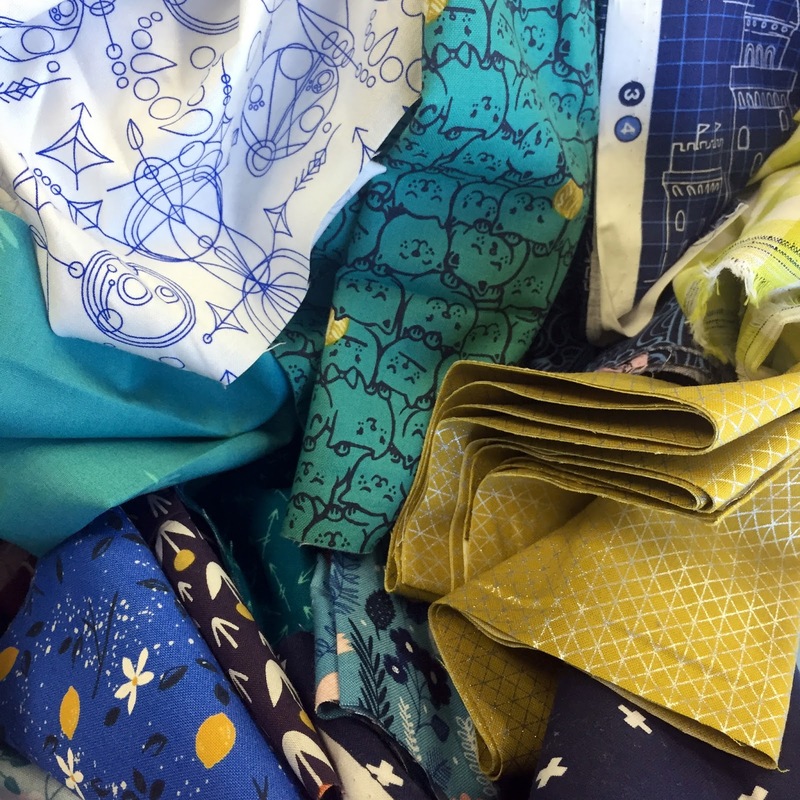 Just start with one fabric as your main print and then pick things that coordinate as you go. This is fine, but sometimes you will discover, you don't have enough of colors to go with your main pick. I won't go into a lot of color theory here, there are SO many blogs and sites out there that already have this information. With scraps I take a look at the color I have the most of and then go from there. Sites like Design Seeds (https://www.design-seeds.com/by-color/) allow you to choose a color and then they give you some color combos to choose from. If you are going to use a colored sashing for your Stargyle, don't forget to add the color you are going to use to your color palette. 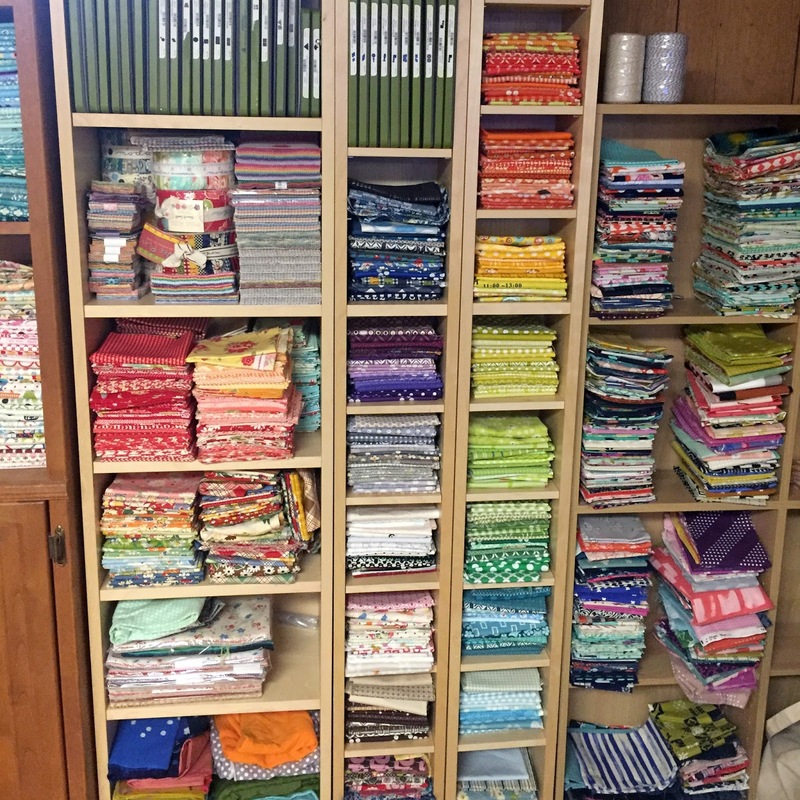 Once I choose colors, I can easily just pull out the bins that house those scraps! 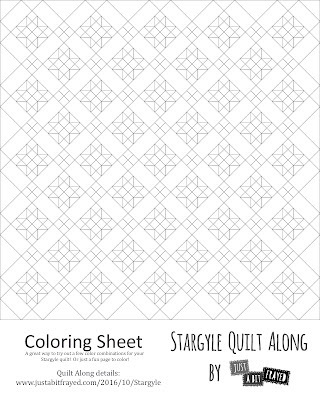 This is a scrap quilt so you can use A LOT of colors if you want! Your first choice to make is colored sashing or not! Here are two examples of the Stargyle quilt where the sashing is the same color as the background fabric! It looks a lot different, doesn't it! A nice dark and bold background with colors that pop! A consistent background around the stars gives another look altogether! With sashing but more monocrhomatic! This weekend I will put up the first sewing post! 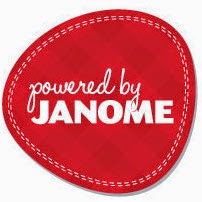 We will start by creating your 4 patches. There are SO many ways to create these little guys quickly with your scraps! Show off your scraps on Instagram! 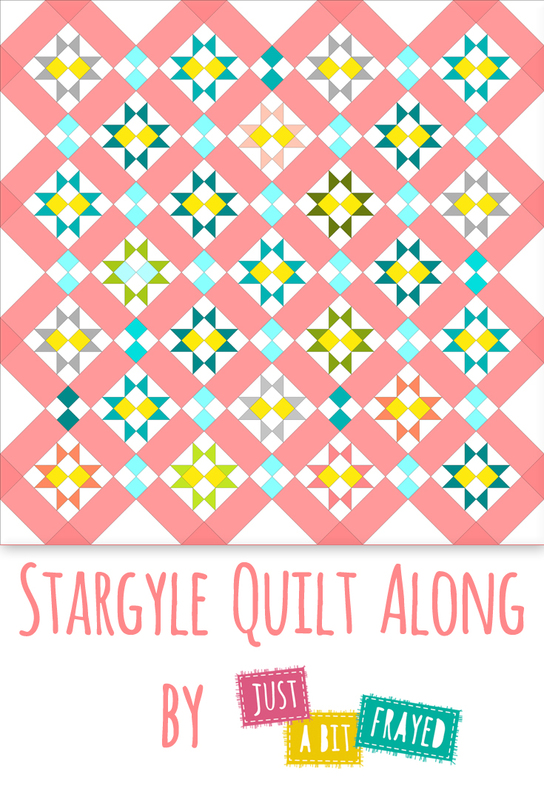 Use #stargylequilt to see everyone's progess! Hi Brenda! My biggest question is how much fabric is required for the sashing? As this is what brings it all together, I want to make sure I have enough to make it uniform. Thanks for a fun project!